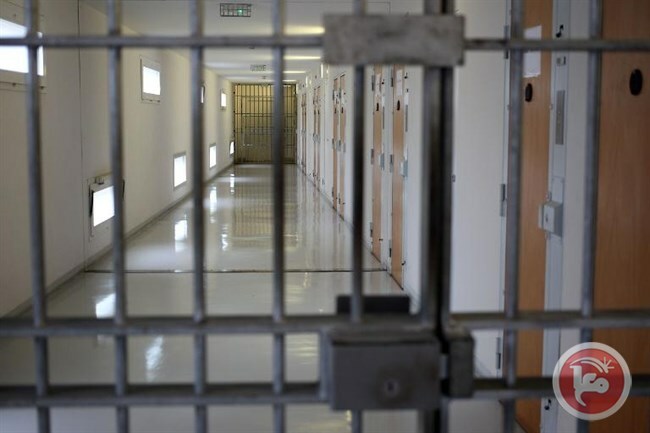 BETHLEHEM (Ma’an) — Israeli authorities re-arrested a Palestinian from occupied East Jerusalem on Wednesday immediately after he was released from serving a five-year prison sentence, according to official Palestinian Authority (PA)-owned Wafa news agency. Israeli soldiers abducted, Wednesday, three young Palestinian men from occupied East Jerusalem, including one who was taken prisoner minutes after his release following five years in prison. On Wednesday evening, the soldiers invaded the al-’Isawiya town, in the center of Jerusalem, and abducted Mohammad Zakariya ‘Oleyyan and Anas Dirbas, and took them to an interrogation facility. The soldiers were also extensively deployed in front of the local mosque, stopped and searched many Palestinians, and interrogated them while inspecting their ID cards. It is worth mentioning that the town is subject to a strict military siege for the fortieth consecutive day. 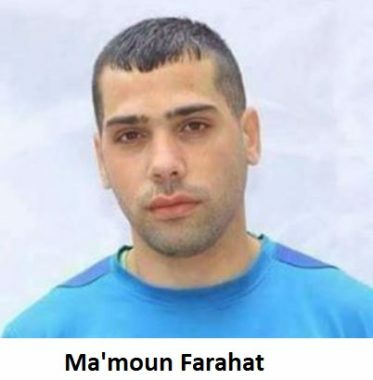 On Wednesday morning, the soldiers abducted Ma’moun Farahat, just moments following he was released from the Negev detention camp, after spending five years in prison. His lawyer, Mofeed al-Hajj, said Ma’moun was abducted and transferred to the al-Maskobiyya interrogation center, in Jerusalem. The detainee was not allowed to see or talk to his parents after his release, and was instantly abducted and sent to the interrogation facility without any explanation or warrant. 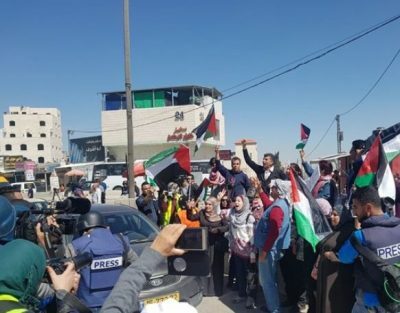 The humanitarian impact of Israeli settlements in Hebron on Palestinian residents is the focus of a new United Nations report, according Al Ray Palestinian Media Agency. 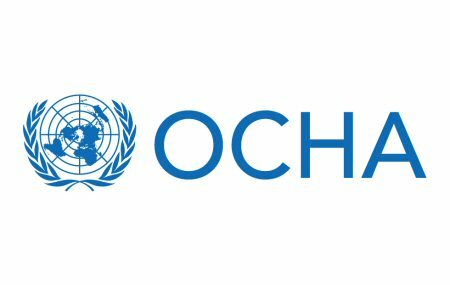 The document, published this week by UN OCHA, provides a detailed map and key statistics with respect to the impact of the illegal settlements in the Palestinian city. Israeli occupation authorities exercise direct control over 20 percent of Hebron city, an area known as ‘H2’, and which is home to “approximately 40,000 Palestinians and a few hundred Israeli settlers living in five settlement compounds,” UN OCHA states. The UN OCHA report records how there are currently more than 100 Israeli army-imposed physical obstacles to Palestinian residents, including 20 staffed checkpoints. According to a 2015 survey cited by the UN agency, nearly 260 housing units in the closed and restricted areas – some 40 percent of the housing stock of these parts of the city – have been abandoned by their Palestinian residents, and are empty. At least 21 Palestinian refugees were pronounced dead in the raging Syrian warfare during February 2018, the London-based Action Group for Palestinians of Syria (AGPS) reported. A report by AGPS said 12 Palestinian refugees were fatally shot down; four died as a result of the unabated shelling; three were executed, and one refugee was tortured to death in Syrian dungeons. One more Palestinian breathed his last a result of the blockade and lack of medical care while another died of unknown causes. As for the geographical distribution of the casualties, Damascus topped the list with 12 Palestinians, followed by Rif Dimashq, with five casualties. 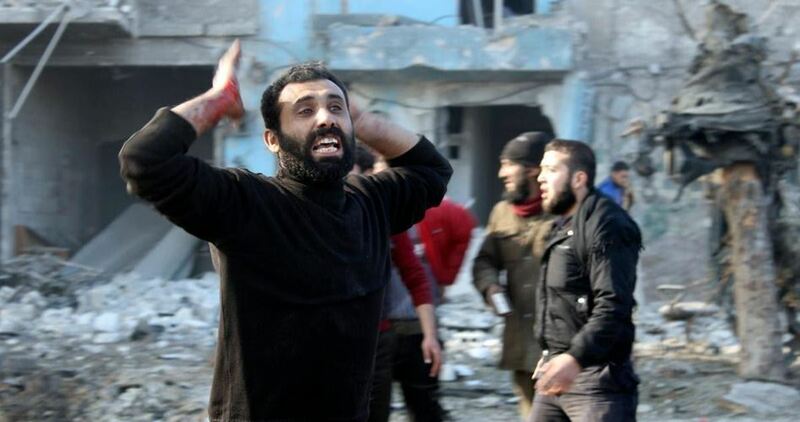 One Palestinian was pronounced dead in Deir al-Zor. AGPS report also kept record of the death of three other Palestinian refugees in unknown locations as a result of the rampant Syrian conflict. It underlined that the decision to convene the National Assembly flouted all inter-Palestinian agreements and understandings in this regard, specifically the 2005 and 2011 Cairo agreements, the 2006 national accord document, and the 2017 Beirut declaration. Hamas emphasized its adherence to all agreements that stipulated the need for rearranging the Palestinian house and reforming the PLO institutions. 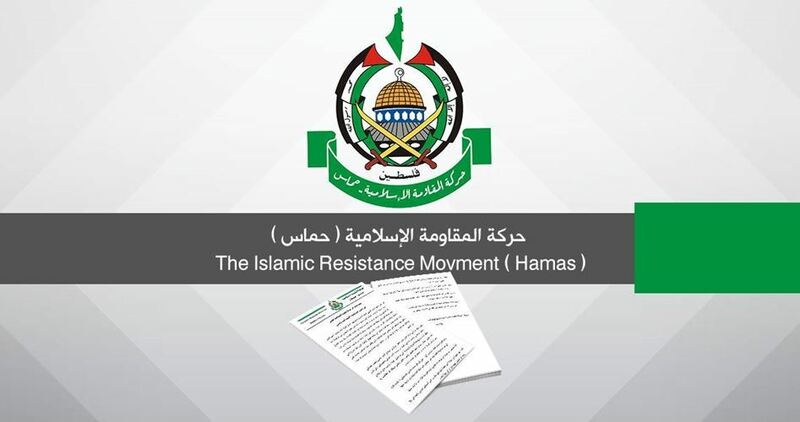 Hamas considered the insistence on convening the National Assembly in an occupied territory “a very dangerous step,” warning that such unilateral step would only lead to more fragmentation in the Palestinian position and perpetuate the national division. Repeated Use of Chlorine Gas Against Civilians in Eastern Ghouta: Who Stops Assad? Assad regime forces have once again used chlorine poison against civilians in the Damascus suburb of eastern Ghouta despite the strong international warnings to stop the use of this banned type of weapon as well as calls for commitment to UN Security Council resolution 2401. The resolution called for at least 30-day ceasefire and the delivery of humanitarian aid to those in need. The Syrian Civil Defense in Rural Damascus said that 124 civilians, mostly women and children, suffered from asphyxiation after Assad forces targeted the area located between the towns of Saqba and Hammouriya with a barrel bomb containing poisonous chlorine gas. As many as 92 civilians were killed on Wednesday in aerial and artillery bombardment on eastern Ghouta. The Syrian Coalition said that the onslaught on the Damascus suburb constituted genocide which is being carried out with direct support from Russia. The United Nations has stepped up its rhetoric against the practices of the Assad regime and its backers over the past few days. Chairman of the UN Independent Commission of Inquiry, Paulo Pinheiro, confirmed that the Assad regime committed war crimes by using chemical weapons against civilians. “Also, when you are prepared to kill your own people so easily, lying is easy too. Claims by the Government of Syria that it is taking every measure to protect its civilian population are frankly ridiculous,” Hussein told the UN Human Rights Council on Wednesday. The Syrian Coalition on Wednesday said that stopping the genocide in eastern Ghouta requires measures bypassing Russia’s attempts to disrupt the Security Council and prevent the achievement of international justice, including military measures. These measures should include deterrent military action to put an end to the onslaught by the Assad regime and the Iranian terrorist militias against our people trapped in eastern Ghouta; punish war criminals and perpetrators of the crime of using chemical weapons and toxic gases; and protect millions of Syrians whose cities and homes are being destroyed,” the Coalition added. Likud Knesset member Yoav Kisch yesterday called on Muslims to say “Israel is great” in their prayers instead of “God is Great”. The chairman of the Internal Affairs and Environment Committee in the Knesset was addressing the parliamentary session on the revocation of residency status of Palestinians living in occupied East Jerusalem. France will recognise Jerusalem as the capital of Israel one day, French President Emmanuel Macron told Jewish groups in Paris yesterday, Ynet News reported. At an annual dinner hosted by CRIF, the Representative Council of French Jewish Institutions, Macron responded to the request from the head of the organisation for France to recognise Jerusalem, saying that the government would do so “at the right moment”. The day will come and France will recognise Jerusalem as the capital of Israel at the right time. He criticised US President Donald Trump’s eagerness to make the declaration, stating that he had told Trump he had “made a mistake”. Macron went on to criticise the Boycott, Divestment and Sanctions (BDS) movement, labelling it anti-Semitic. The French president also addressed the issue of Iranian nuclear missiles, and promised the audience “the security of Israel is not a subject of negotiation”. “France is taking action against ballistic [missile] activities by Iran in the region together with its partners, the UK and the US. I hold long conversations with [Israeli] Prime Minister Benjamin Netanyahu,” he stressed. France has maintained the EU stance on the Israeli-Palestinian conflict and called for two-states with a divided Jerusalem as the solution to the occupation. “Peace, as I said before, will only be achieved through the two-state solution, which would allow the two states to live in peace and security within secure and recognised borders, with Jerusalem as a capital for both of them,” Macron emphasisedduring a visit to Tunisia last month. Since the US announcement recognising Jerusalem as the capital of Israel, the Palestinian Authority (PA) has been reluctant to engage with the Trump administration as the sole mediator in the peace process, considering it a biased negotiator. 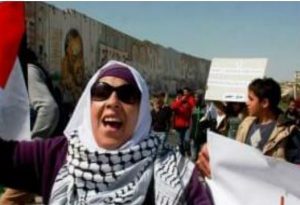 The PA has instead called upon European countries, including France, as well as others such as India, to engage in multilateral negotiations to ensure a fair outcome for the Palestinian people.